With general elections approaching, the conservative Homeland Union - Lithuanian Christian Democrats, one of Lithuania's major political parties, is facing the prospect of another term in opposition. What may be weighing on the party's chances is a leadership crisis at the top of the party, analysts say. The internal power dynamics in the party are still largely shaped by the merger between the Homeland Union and the Christian Democrats in 2008. The former has since dominated the conservatives, not least in holding the party's chairmanship. However, the abysmal popularity ratings of the Homeland Union's chairman, former Prime Minister Andrius Kubilius, who had the misfortune to be in power when the last economic crisis hit and oversaw the decade's biggest public spending cuts, threatened to undermine the balance of power. Internal rifts in the party came to the fore when Vytautas Landsbergis, the conservative patriarch who continues to hold moral authority over most of Lithuania's right-wing politics, challenged Kubilius in the 2013 election for chairman of the party. Kubilius held on to the chairmanship then, but decided not to seek re-election two years later, suggesting instead a young relative newcomer in politics, Gabrielius Landsbergis. Observers then speculated that the move to endorse Landsbergis, grandson of Vytautas, was aimed at snatching the post from Irena Degutienė, the candidate from the Christian Democrat side of the party. Landsbergis' future as the leader largely depends on how well the conservatives perform in October's general elections. If the results are underwhelming, analysts say Kubilius could make a comeback. There are several reasons why the elections could present a challenge for the Homeland Union - Lithuanian Christian Democrats. Firstly, recent poll results give little grounds for enthusiasm. A poll in December, carried out by Spinter Tyrimai, suggested that the conservatives could expect 9.5% of the vote, down more than a percentage point from November (10.6%). The party was lagging well behind the Social Democrats (23%) and the Liberals (13.4%). Another poll, by Vilmorus, predicted even worse results for the conservatives, putting them at 8.4% in December and 9.9% in November. Conservative politicians are quick to remind people how unreliable polling can be and they note that conservative voters are among the most disciplined in the country, giving the party a palpable advantage in years of low turnout. However, a number of factors play against the conservatives. First of all, polls suggest that they are rarely voters' second choice and have little potential to sway other parties' voters over to their side. The Homeland Union have consistently shown high negative ratings among voters in opinion polls. Secondly, the last few years have seen the rise of a real competitor for the right-wing vote in Lithuania, the Liberal Movement. The liberals have long been seen as the junior partners of the conservatives, but hardly a party that could lead a government. That has changed recently, largely thanks to popular leaders like Egidijus Masiulis, the Liberal Union's chairman, and Vilnius Mayor Remigijus Šimašius. Then there is the issue of the conservative leadership. 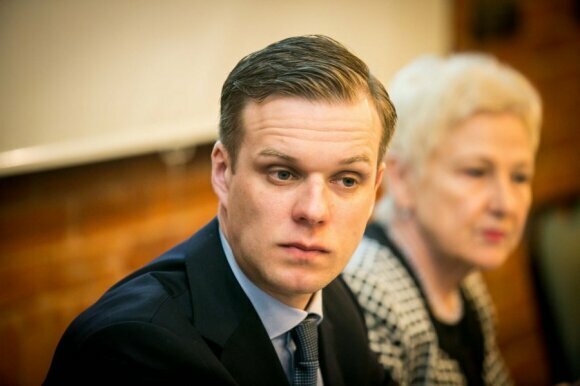 The new leader, Gabrielius Landsbergis, is rarely the subject of open criticism from party ranks but privately some conservatives are unconvinced of his capabilities to lead the Homeland Union to electoral victory. 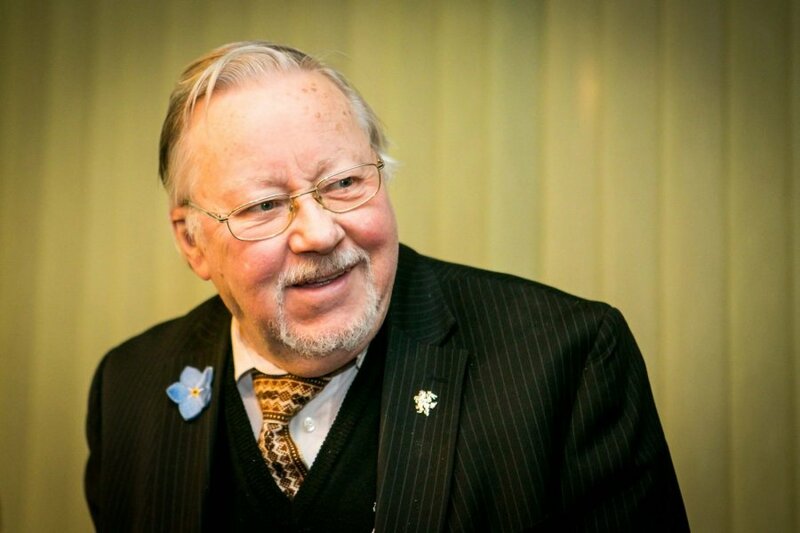 There are even theories that Kubilius, the former chairman, put Landsbergis in as a place-holder and that he is planning a comeback after the elections. "Such theories do circulate, though it is hard to say how much people believe them," a conservative insider told DELFI. 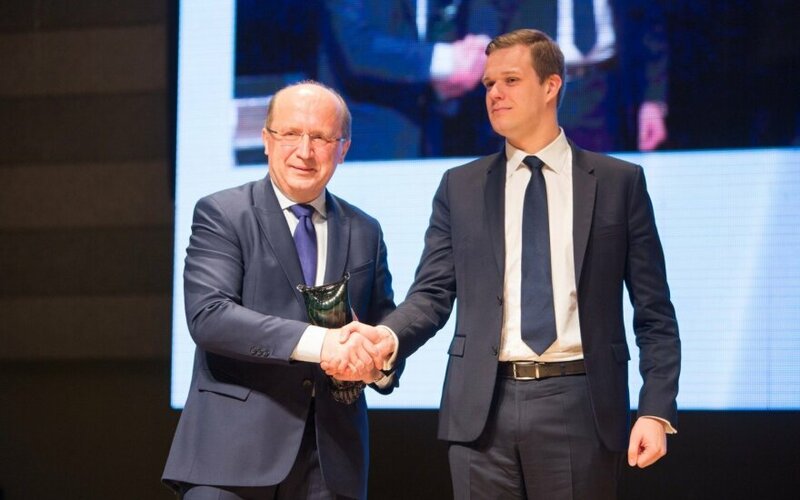 Political analyst Mindaugas Jastramskis, of Vilnius University's Institute of International Relations and Political Science, said that Landsbergis' leadership was still far from solid. He quoted the politician's recent statements as a telling example. Landsbergis, who currently holds a seat in the European Parliament and directs the party largely from Brussels, recently suggested he might not run for the Lithuanian Seimas or give up his MEP mandate unless the party gave him the first spot on the candidate list. Landsbergis soon rejected such suppositions in an open letter addressed to the party, insisting he had never even considered not running. However, Jastramskis said this seemed more like damage control than a genuine misunderstanding. Moreover, Landsbergis' popularity levels among potential voters are not reassuring, with recent polls putting him not much ahead of Kubilius himself. According to a Vilmorus poll in December, Landsbergis is regarded positively by 23.5% of respondents and negatively by 40%. The overall score puts him deep in the red, at -16.5%. Jastramskis noted that the popularity of the leader of a party was not always a deciding factor, especially in the case of the party with a loyal following. However, the political fortunes of a party and its leader are often intertwined, he said. "Whatever one can say, it does not give an advantage to a party if its leader is seen negatively by so many in the public," Jastramskis said. "The conservatives have a leadership problem, but not one where the leader can't command loyalty within the party, but one where the leader is not liked by the people." Will high approval ratings for social democrats translate into election gains?